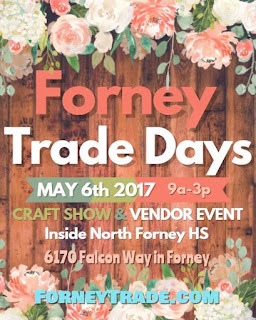 "Over 60 vendor shoppes & Great food - tamales, gourmet pecans, foot long corn dogs, funnel cakes & more!v - FREE Craft for Kids! Live Music! Free admission and parking!" "This event is free to the public. We will have carnival games, food, and vendors with an array of items and products, as well as a silent auction! All proceeds go to the Martin HS AVID program. " "Join us for the Highland Village Art Festival where we'll have displays from over 30 outstanding gallery quality artists, artist demonstrations, live music and entertainment, and interactive children’s art activities. Musical performances will be held in the south courtyard between Patrizio and Chico's. The Highland Village Art Festival is a joint venture between the Highland Village Public Art Advisory Board and The Shops at Highland Village benefiting the Children's Advocacy Center of Denton County." "Just in time to shop for Mother's Day. All proceeds benefits Sanctified Hope Home for Women. 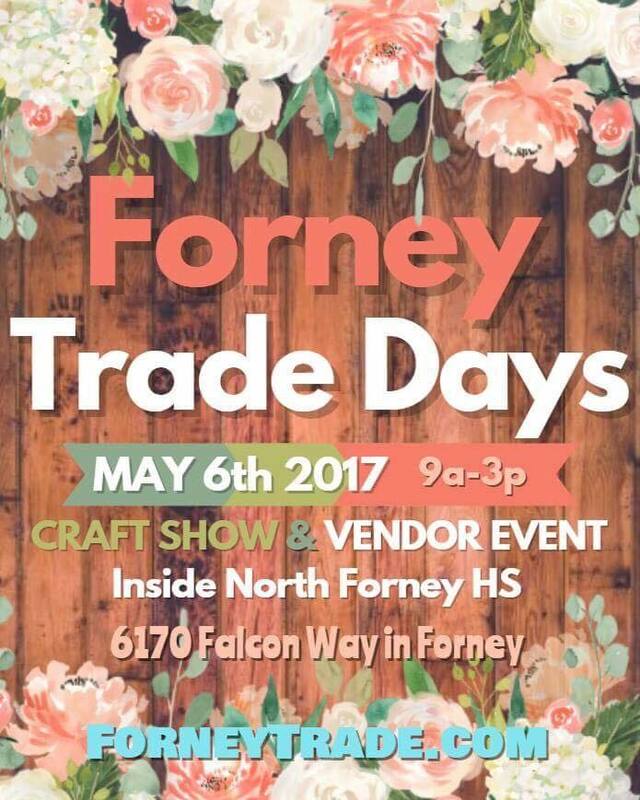 Hand-crafted items, Spinning Prize Wheel, Face Painting, Massage Therapist and food will be available. Free Admission." "Bicycle Fest focuses on providing a free opportunity for event attendees to learn more about bicycling in and around the Irving area. Attendees receive general bicycling information, safe routes for commuter bicycling, transit options for commuting throughout DFW, basic on-the-spot bicycle checks and information about bicycling gear." "An open-air market where the best and most creative local artisans are invited to showcase their unique, funky, whimsical, hand-made wares, vintage, one-of-a-kind, found items as well as creative food bites and fun food trucks." "Since 2007, Etsy Dallas (an independent local craft collective run by volunteers) has hosted many wildly popular and successful independent art shows in support of the handmade movement in Dallas. The Bash features hand-picked artists, designers and crafters selling their top quality handmade goods to the public. Additional fun includes music, make-and-take crafts, a photo booth, food, and a full bar. The Bash is home to the famous and original free Bash Goody Bags. The Bash offers free DIY crafts to make and take, bash bags to the first 50 shoppers, great music, food and a spectacular photo booth! While the Bash is a family-friendly event, the vibe is fun and hip - a show full of handmade love and good times. Think of it as a party - not your typical craft show!" Admission is free. Parking is $5.